South Korea’s largest automotive group Hyundai Motor Group will invest a record 10 trillion won ($9.45 billion) in the car business alone this year. 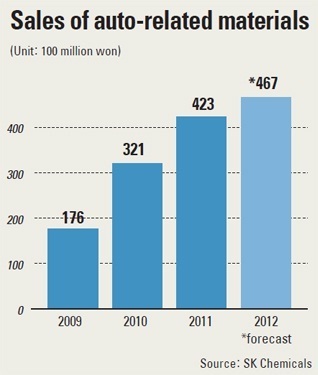 This year’s planned investment increased 500 billion won from that of last year. The group is forecast to focus on investing in research and development (R&D) this year as it decided to boost investment without a plan to build new plants, unlike it did last year. Hyundai Motor Group said Tuesday it decided to invest 10 trillion won in the group’s automobile business including Hyundai Motor, Kia Motors, Hyundai Mobis, Hyundai Kefico, and Hyundai Autron this year. 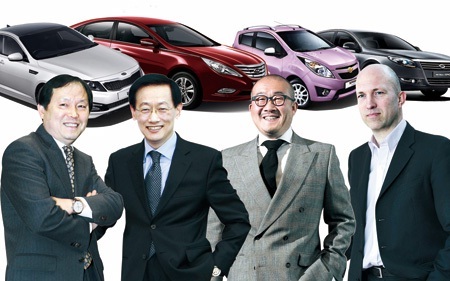 Last year, the group had made investment worth 9.50 trillion won in the car business. The group’s investment in the automobile segment this year will be devoted to research facilities which have been restructured in the beginning of this year. In other words, most of the funds will be spent on R&D and quality control. Korea’s thriving IT and automobile industries have served as life-savers for struggling chemical firms in the second quarter by feeding them much-needed business, according to local companies. SK Chemicals said yesterday the automobile sector is becoming an alternative market for chemical firms at a sluggish time in the industry. The company said its sales of chemical materials for vehicles jumped by 15 percent on-year to 21.7 billion won ($19 million). It saw sales of Skynova, a sound-absorbing material used in the floor of cars and as an engine cover, grow by more than 30 percent on-year, the company said. Overseas sales accounted for 60 percent of the material’s total revenues, which stood at 14.8 billion won in Q2. 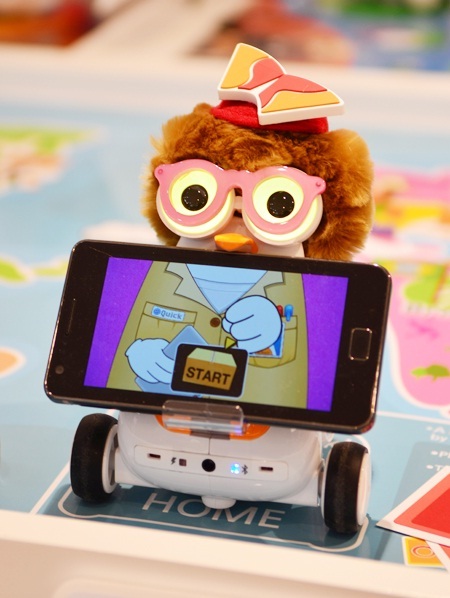 Korea’s automobile and information technology (IT) industries are expected to enjoy strong growth in the second quarter of this year, underpinned by growing overseas demand, a report showed Sunday. The country’s shipbuilding, construction and pharmaceutical industries, however, are bracing for deteriorating business conditions triggered by sluggish overseas orders and a weak domestic property market, according to the report by the Korea Chamber of Commerce and Industry (KCCI). Exports of South Korean cars are forecast to grow in the three-month period fueled by free trade agreements (FTA) with advanced industrialized economies, a lower excise tax on mid-size vehicles and the release of new models. The KCCI also said the popularity of smartphones, tablet PCs and organic light-emitting diodes (OLED) made by local companies will buoy the IT sector. The Summer Olympics in London in July could also stimulate the global digital electronics market. 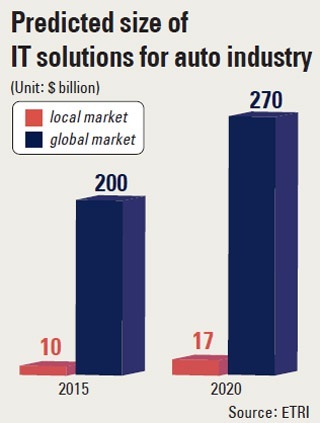 The Automotive Practice Asia Pacific at Frost & Sullivan said that the South Korean telematics market is expected to reach the advanced growth phase from 2012 to 2015. They noted that the commercial vehicle telematics market in South Korea is mainly driven by the aftermarket as original equipment (OE) telematics service is not available currently. 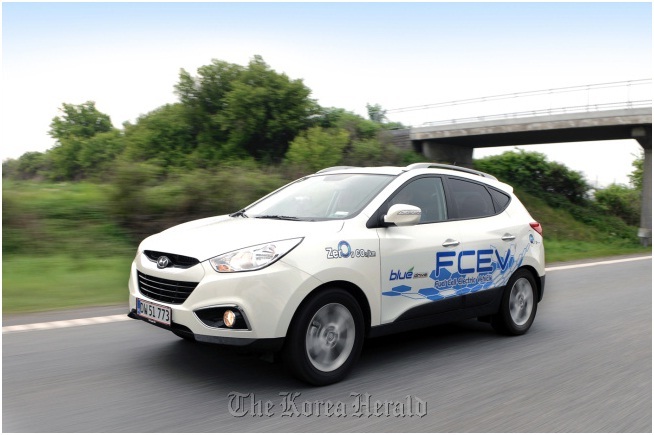 “Hyundai is likely to enter the OE-CV telematics market space in coming years. It is estimated that the market share of OE-CV telematics to be 10 percent by 2017 in South Korea,” Ms. Yun (Research Analyst, Automotive Practice Asia Pacific at Frost & Sullivan)said. She added that penetration rate of the commercial vehicle telematics is expected to increase in South Korea as the Government plans to make the installation of vehicle black boxes in commercial vehicles mandatory. The total registered commercial vehicles in South Korea were estimated at 4.3 million units in 2010.